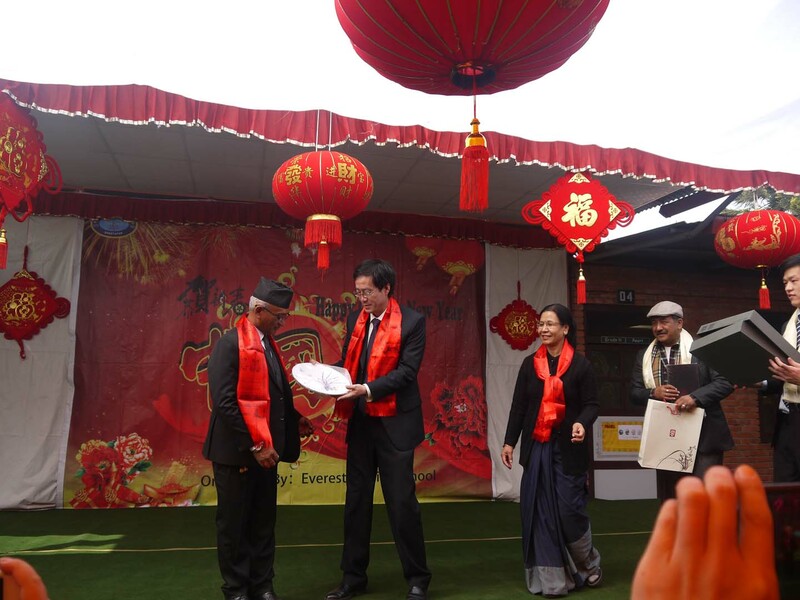 After a rather long preparation, the 6th Annual China Day Celebration was held at Everest English School on 2073/11/06. From the innumerable compliments and a sea of happy faces of the teachers, students, and the attending parents I saw, I can safely bet that the programme was a grand success. This success belongs to everyone here at Everest who worked hard and went above and beyond what was expected of them. I would specifically like to thank the Principal Mr. Bhakta Rajbhandari and the Vice-Principal Mrs. Kamala Devi Amatya Rajbhandari along with all the participating teachers and students who worked hard to bring the China Day programme to fruition and we got to enjoy the beautiful performances, the delicious food, and the delicate handicraft. The level of support and cooperation I received from the Everestians made it very easy for me to live and work here in Nepal. Everyone I met in the duration of my stay here at Everest loved to communicate with me about various cultural aspects and life in Nepal in general. The smart and talented students inspired me to be even more creative and explore new methods of teaching. I felt a positive atmosphere at Everest on my very first day which only got better with time. I’d like to thank the Everest School community yet again for all the love and support they bestowed upon me.